Everybody needs a bit of pampering every once in a while and the new addition to the Dove Purely Pamper collection makes doing this so much easier and affordable. With just £8.99 you can feel fresh, smell fresh and even look fresh thanks to their new Dove Purely Pampering Body Oil. If you haven't noticed, body oils are all the rage this summer. This could probably be due to their benefits which includes nourishing and adding softness to the skin. Here at brownbeauty we have mentioned a couple of body oils and even reviewed two from the Loccitane Almond Collection. What I liked the most about the Dove Purely Pampering Body Oil was how absorbent it was on my skin. Upon application, you expect it to just sit on the skin and make it look shiny. But that wasn't the case with this oil which comes in two scents, Pistachio and Magnolia or Shea Butter And Warm Vanilla. We got to try out the latter which has been amazing as an alternative to my normal moisturiser. A little goes a long way with this oil and let me not forget the smell. Ohh does this oil smell good and lasts a good few hours. We highly recommend this product especially during these hotter months where arms and legs are often out. The slightly shimmery oil adds a nice glow to the skin. 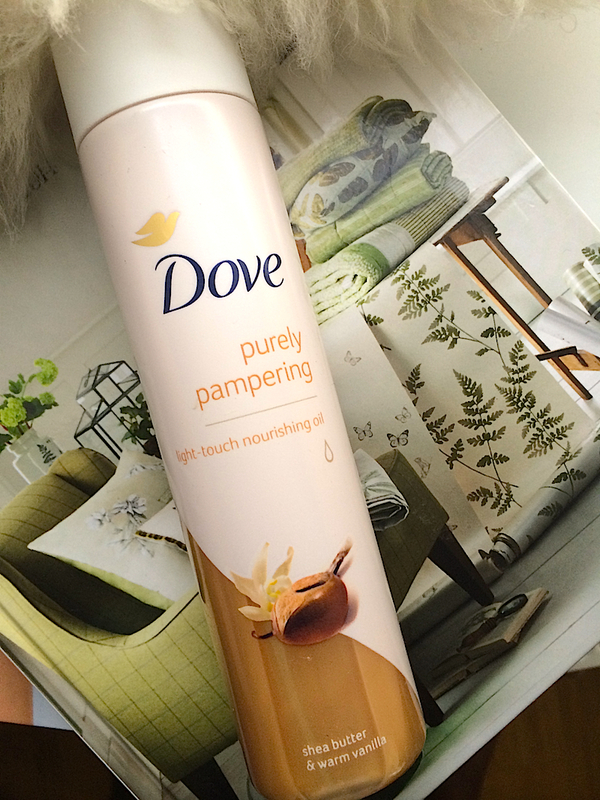 The Dove Purely Pampering Body Oil is now available from Boots and Tesco.